KUCHING: A general worker has died after his motorcycle collided with a car from opposite direction at Batu 12 Jalan Puncak Borneo at the junction of Jalan Kampung Jawa here last night. State Traffic Investigation and Enforcement Department chief superintendent Alexson Naga Chabu said the victim, Sadan Katut, 56, was from Kampung Sibuang Jalan Padawan and was killed at the scene of the accident. He said the incident occurred at around 1.30 am at Batu 12 Jalan Puncak Borneo at the junction of Kampung Jawa road. 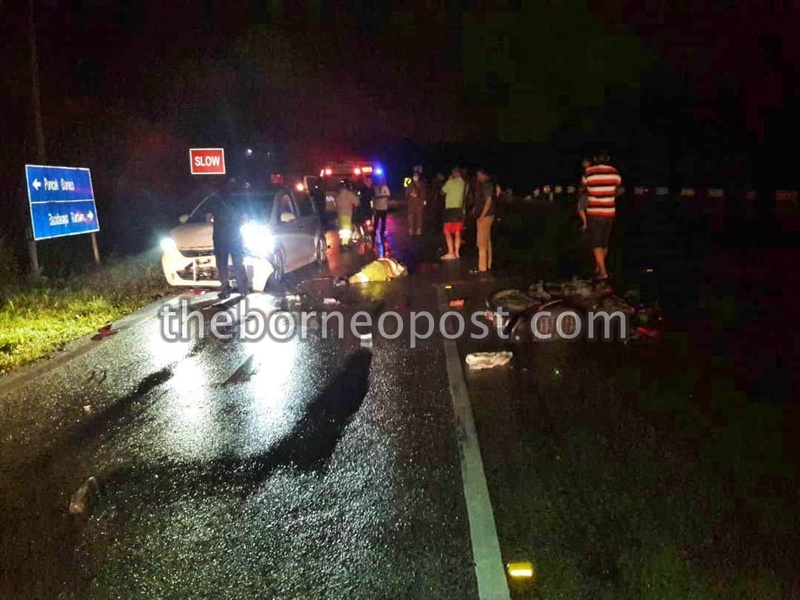 “The preliminary investigation found that a car moving from Kuching to Puncak Borneo was believed to have collided with the victim who was on a motorcycle moving from Puncak Borneo to Kuching. “Due to the collision, the victim died at the scene because of severe injuries in the head,” Alexson said in a statement here today. The case is still under investigation and classified under Section 41 (1) of the Road Transport Act 1987.